Talk about a man of many trades. Julius Lester does it all. Since 1968 Julius has published 35 books - 7 non-fiction, 1 book of poetry, 2 novels, and 25 children's books. He has also recorded two albums of original songs, had his photography work displayed in the Smithsonian Institution and has been a professor at a reputable university. Mr. Lester has accomplished so much and is still at it. I encourage you to read this biography and learn about a man with a passion for writing and history. Julius Bernard Lester was born on January 27, 1939 in St. Louis, Missouri to W.D., a Methodist minister, and Julia Lester. From 1941 to 1954 Julius lived in Kansas City, Kansas, then moving to Nashville, Tennessee from 1954 to 1961. In 1960, Julius received a B. A. in English from Fisk University. In 1961, Julius moved to New York City, where he had a hit radio talk show from 1966 to 1973. He also had the opportunity to host a television talk show from 1969 to 1971 as well. This man never stopped! Julius has been married 3 times and has five children. I guess the saying "If at first you don't succeed, try , try again," comes to mind here! He currently resides with his wife in a small town in western Massachusetts. Julius taught for two years at the New School for Social Research in New York. After this he joined the faculty of the University of Massachusetts where he became a professor in the Judaic and Near Eastern Studies Department, as well as an adjunct professor of History. He retired in 2003 . Mr. Lester received all three of the Universities most prestigious faculty awards : The Distinguished Teachers Award, the Faculty Fellowship Award for Distinguished Research and Scholarship, and the Chancellor's Medal, the university's highest honer. Julius was also selected Massachusetts State Professor of the year in 1988. To be such a decorated writer is a great accomplishment and I believe all of this shows throughout his writing. 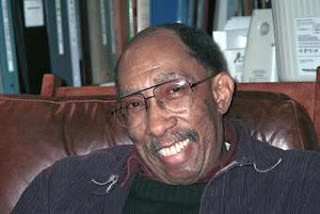 Julius Lester has been honored with several awards for the work he has done. Among the awards his writings have received include; the Newberry Honor Medal, the Lewis Carroll Shelf Award, National Book Award Finalist, National Jewish Book Award Finalist, National Book Critics Circle Award Finalist and the Boston Globe/Horn Book Award. He also has several titles that have appeared on the New York Times Outstanding Book list and American Library Association Notable Book list. Julius became a writer because the only way for him to find out things he wanted to know, was to write about them. I think this is a great way to get inspired. What better way to learn and educate others on a subject than researching and writing about it yourself. One book in particular, To Be A Slave, was written because Lester wanted to know what it was like to have been a slave and he could not find a book that really told him the answers he was looking for. I think he wrote this book because he wanted to show the world what it was really like to have been in slavery. There is no other way to touch someone, than by giving them real life examples. All of the scenarios in this book are factual. I know it was sometimes hard for me to keep reading because the issues were so painful and real. Another one of his novels, Day of Tears, he draws his inspiration from a real life event. In this novel he chose an actual event in history and portrayed it his way. I think it means more because it is based off true events. Plus I think he wanted to show how terrible it was to be owned in slavery. You were never safe and you never had a guaranteed place on your plantation. His ideas for writing books come from his inquiring mind and what it must feel like to be someone else. His motto is : Writing comes as much from the heart as it does the head. He enjoys writing, but notes that it is very hard work. When working on a book he spends about 3 hours a day and about 3 pages in that 3 hours. I salute Mr. Julius because I know that after one hour of writing I am ready to call it quits for good! Once again, a man of many trades. With all of his talents and knowledge, it is no wonder Julius Lester is such a decorated writer. Check out some of his photography on is website http://www.profotos.com/juliuslester/. Also on his website you will find a frequently asked questions section that is very interesting. If you are really interested in Julius Lester, you should visit his own personal blog http://acommonplacejbl.blogspot.com/. I highly recommend that you browse these websites and pick up one of Mr. Lester's books today, I could not put them down!